40 ways to make your spectator select the card YOU want him to take! Make your spectator choose the card YOU want him to choose! And he will think he had a free choice! 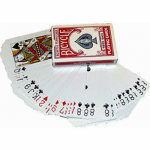 So many great card tricks depend on your being able to force a specific card. 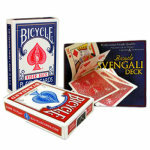 With this DVD, you'll quickly learn 40 effective and easy ways to control a deck of cards. 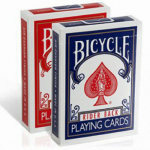 You'll never have to depend on a trick deck of cards again! 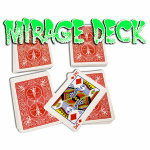 Fool your spectators with the most amazing secret card forces ever! 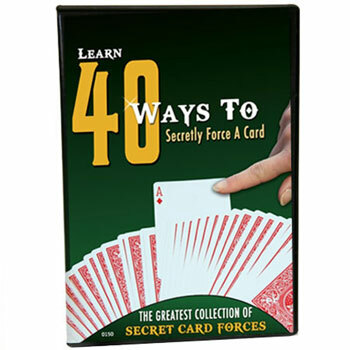 Learn over 40 secret forces! 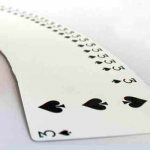 Go in-depth with expert card magic instructor Gerry Griffin step by step, move by move. This DVD contains over TWO AND A HALF HOURS of demonstrations and explanations to expand your capabilities as a card magician. What's the difference between the FORCE Decks? You supply ordinary playing cards. 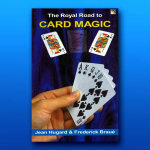 As well as learning the 40 force moves, this DVD also has many hints and tips that will help you perfect your card handling. Watch the whole thing! These forces can be used to do pretty much anything. Force a card on them, and have a copy of their card appear wherever you need it to, as if it was the same card but magically transported somewhere else. Force a card and select the same card from a different deck, as if you both chose the same cards. In order to do the best card effects, you definitely need to know how to force a card. This DVD teaches you what you need to know. This was the best bang for the buck I have had in a long time. This dvd has 40 different ways to force a card. ALL are very easy with a little bit of practice. There are plenty of different methods for anyone from beginner to advanced. How can you go wrong with all this for a price this low.